Telephone, fax and e-mail facilities are available. 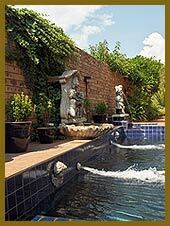 Easy access to Highways, Pretoria, Johannesburg, Midrand & Johannesburg International Airport. Close proximity to Centurion Mall, Supersport Centurion Cricket Grounds and Virgin Active Health Club. 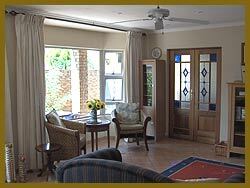 The Monte Carlo B & B, situated in the exclusive Centurion Residential Estate and Country Club, offers modern luxury accommodation in a secure area. All rooms are en-suite with a shower or bath and open onto a balcony overlooking the pool. Your hostess, Maureen Human offers personalised service to ensure your comfortable stay. * Self catering apartment available, in either 3, 2 or 1 bedroom options.